Our Best Answer - How do I submit my ACT or SAT score to your school? If you are a freshman applicant, you must take the SAT Reasoning Test or ACT by the end of October, but no later than December of your senior year in high school. We will accept scores from either test. You must request that your score results be sent directly to California State Polytechnic University (Cal Poly Pomona) from the testing agency so that they are received by the January 31 deadline. 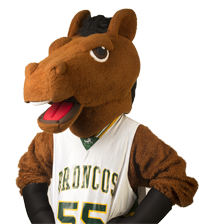 For the SAT, use the institution code of 4082 if you are only applying to Cal Poly Pomona. You can also use the CSU systemwide institution code (3594) on CollegeBoard.com to ensure that all CSU campuses to which you apply receive your scores. If you list a CSU campus as an ACT score report recipient, your scores will automatically be sent to all campuses to which you submit your application. For more information, go to the College Board (SAT) or ACT websites. If I took the SAT or ACT test more than once, which scores do you use for admissions?